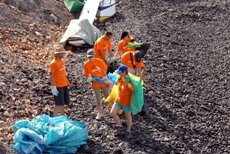 Santiago del Teide Council is organising another coastal clean up for the Los Gigantes area, like Alcala did last week. The event will be on Saturday 9th August, meeting at 9.00am on the marina of Los Gigantes. Volunteers are wanted to help local fire men, local surf club and the local youth club to clean the coast. Everyone is welcome, so please come along and help to keep our coasts clean. The newly remodelled Plaza de Espana in Santa Cruz has officially opened. The public areas of Santa Cruz, including the Plaza de Espana, the Duke of Alameda St. Helena and the Plaza de Candelaria, which have undergone massive renovations, are now finished and were officially inaugurated last Thursday by the highest representatives of the Cabildo. An area of 36,160 square metres which has undergone the huge remodelling during the past two years only needs the completion of the required testing techniques to fill and empty the lake. The project was designed by the architectural firm Herzog and Meuron and executed by the joint venture (UTE) constituted by Acciona and VVO Building and Infrastructure Projects. 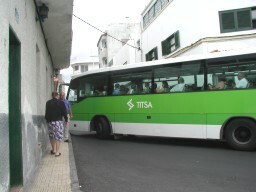 Santiago Del Teide now have a Notary office in the Municipio. The new office opened its doors on 21st July 2008. 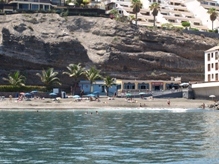 Address is Avenida Maritima number 25, Edificio La Mar, Local 40 Puerto De Santiago. 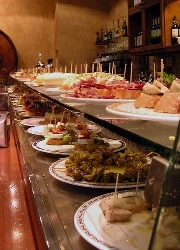 Hours : Monday to Friday, 9.00am till 3.00pm. 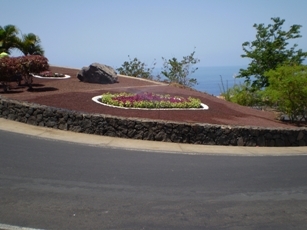 The municipality of Villa Historical of Santiago del Teide, together with the Agency for Employment and Local Development, is immersed in a project to improve all the municipal gardens. 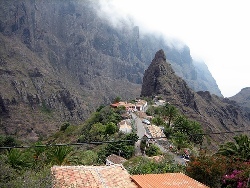 Currently the gardens of Playa de La Arena, Los Gigantes and Viewpoint Archipenque are being worked on. Work will gradually continue its way through all the districts of the municipality. 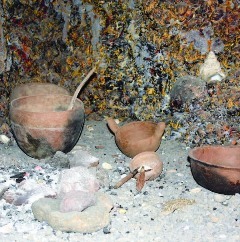 An exhibition, opening for guided visits from September has been completed underneath the Plaza de España in Santa Cruz. During excavations for the new main square a section of wall was revealed which turned out to belong to a medieval fortification, the Castle of San Cristobal. It was this castle that gave the name to the popular Calle Castillo main street. Work on the new square was halted until new plans could be drawn up which would preserve the fragment of the castle. A series of panels in the underground passages show the history of the castle and the town from 1575 to its semi-demolition and burial in 1928. At the end of the passage visitors can see a 40 metre stretch of the wall.